As much as I agree with the immorality of the wall, I recognize that an argument rooted in morality never gets anywhere. Morality is subjective from person to person, and opposing ideas of what is “right” can never be brought to a compromise. Humans are unwilling to compromise their own morality to others because they want to believe that their morality is superior. 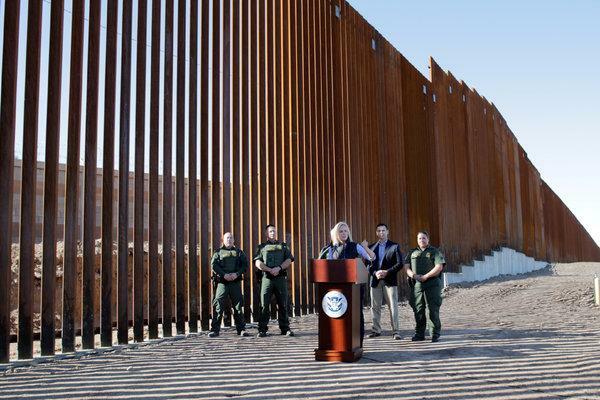 Opponents of Trump’s proposed $5.7 billion border wall should not focus on the morality of the wall to refute it but should capitalize on its glaring logistical flaws. The first issue with the wall is the availability of land. Much of the land along the border is privately owned. The U.S. Government has the ability to use eminent domain, taking the land for “public use,” however, the farmers and citizens along the border would protest the seizure of their land if eminent domain is applied. The second major issue is the wastefulness of the wall. I would argue that the U.S. has domestic problems to worry about that are greater security threats than illegal immigration. For instance, Flint, Michigan still does not have clean water. Congress could divert funds from the wall to fix the water supply in Flint, saving thousands of Flint residents. Another use of the funds could be to increase access to public education, creating universal Pre-K. This extra year of school could benefit young Americans in the long run. I do not have all of the facts about the border wall. However, I do know that arguing over the wall’s morality will do nothing to halt its construction. I believe that in order to discredit the wall’s validity, the left must push the facts of the wall more than the morality of the wall. The factual and realistic case for the wall is more porous than the right understands. Tom Paugh is an 18 year old from Wayland, MA and a member of the St. Mark’s Class of 2019. Tom is actively involved in St. Mark’s student life as a Dorm Prefect, Pathways Prefect, member of the St. Mark’s Model UN, Admission Prefect, and Peer Tutor. He is also currently pursuing a classics diploma from St. Mark’s as well. He aspires to get a degree in Business Management/Entrepreneurship so that he can start his own company. Tom has a strong passion for serving his community, and has completed stints at the Boys and Girls Club in Marlborough, MA, as well as volunteering at Brantwood Camp in Peterborough, NH. In addition to his academics, he enjoys playing soccer, hockey, and golf. In his free time, Tom likes to spend time with family, travel, and enjoy the outdoors.